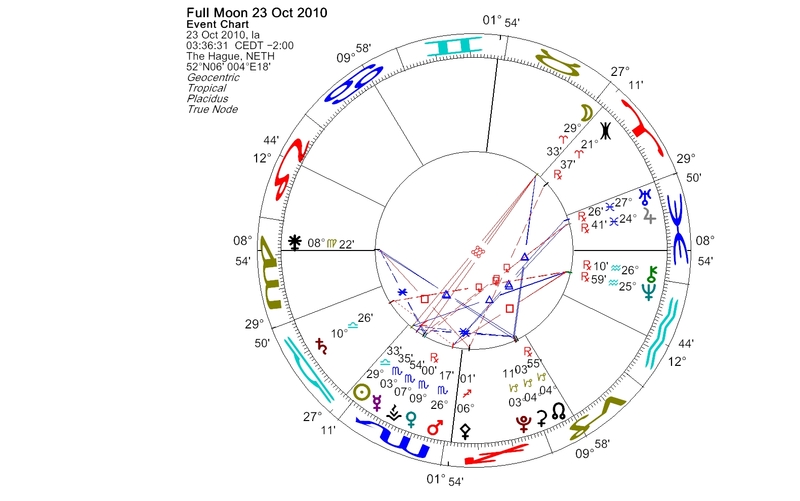 On the 20th October Ceres conjoined Pluto in early Capricorn. In October’s Aries Full Moon chart the tight Ceres-Pluto conjunction is right on the North node of the Moon and square the Aries Point, the point where personal comes political. The Sun is in Libra. Ceres brings the myth of Persephone into the focus. Hades (Pluto) abducted young Persephone and she became the queen of the underworld. Her mother Demeter (Ceres) was desperate. Eventually Persephone was able to return to her mother. Persephone had eaten pomegranate seeds though during her stay in the underworld, and therefore every year she has to go back for a part of the year with Hades, the other part she is allowed to spend with her mother. The myth explains the change of the seasons. The Moon’s Nodes are the points in space where the yearly path of the Sun and monthly path of the Moon intersect as seen from the Earth. In astrology the North node is considered future oriented (while the South node is associated with the past). The Full Moon is always an opposition of the Sun and the Moon. The Sun is currently in Libra, the sign symbolized by the scales. The sign is concerned with justice, equality and relationships. The 20th of October was the Global Dignity Day. People in more than 40 countries took part and celebrated our oneness in being human. The mission of the Global Dignity program is the universal right of every human being to lead a dignified life. One of the co-founders of the program is philosopher and professor Pekka Himanen, a Libra, whose breakthrough work, HimEros (1996), portrays Socrates escaping Hades to Helsinki. We all want dignity and have the right to be treated equally and with respect. During the past week people in Finland have suddenly shown remarkable consistency in claiming this right. Already more than 33,000 people have left the Finnish Evangelical-Lutheran Church after last week’s televised debate over gay rights. The mass flight from the church is a reaction to anti-gay statements expressed in the broadcast. Poverty and malnutrition are among the things which threaten a dignified life. Ceres was the goddess of agriculture, so food and nutrition belong to her domain. Ceres addresses, for example, the issues of how we develop feelings of self-worth, how we care for others, and the principle of sharing. This entry was posted on Saturday, October 23rd, 2010 at 6:38 am	and is filed under Full Moon. You can follow any responses to this entry through the RSS 2.0 feed. You can leave a response, or trackback from your own site.